Now you can have pure-tasting water anywhere “on-the-go”. 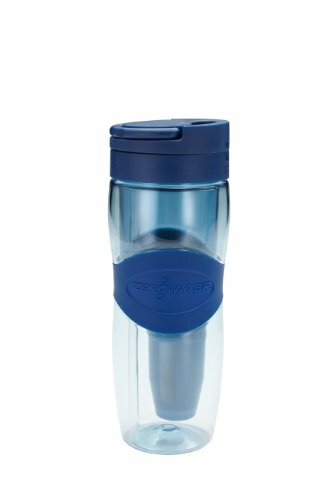 The ZeroWater Bottle combines our advanced filtration technology with a convenient design so you can get great tasting water whether you're at home, at work, or at the gym. This product features our exclusive color changing filter technology that indicates the appropriate time to replace your filter. ZeroWater is not an ordinary water filter! ZeroWater delivers a unique 5-Stage Ion Exchange technology compared to conventional 2-Stage filtration. Enjoy the purest tasting water with a filter that removes 99.6% of TDS (total dissolved solids) from your tap water, such as Aluminum, Zinc, Nitrate, Fluoride and more! It is the only water filter that meets FDA standards for TDS in purified bottled water.